Cisco Systems first announced its intent to acquire Duo Security, the cloud-based multifactor authentication (MFA) startup, for $2.35 billion in early August. Since then, the two companies have been finalizing the deal's close and determining how to integrate Duo's tech into Cisco's portfolio. The Duo acquisition, which closes today, is one of Cisco's largest security deals to date and its third largest deal in the last five years. To learn more about what drove the partnership and where their teams are headed, we asked the two people leading them: Duo cofounder and CEO Dug Song, and Gee Rittenhouse, head of Cisco's newly formed Security Business Group, the division under which Duo operates. "We want to have a portfolio that covers all of the major threat vectors," says Rittenhouse. "There was an emerging perimeter around identity that we were lacking." Duo brings more to the table than MFA tech alone, he continues, noting that Cisco was already working on policy and identity in network security. The acquisition gives Cisco an opportunity to leverage Duo's technology and extend its network security posture into cloud-based or on-premise applications, coupling it with the policy and identity in its networking business. Right now, there are several ways Duo could play a role within Cisco's portfolio and it's still ironing out the details, Rittenhouse explains. He says Duo will continue to focus on its business and execute within Cisco, and he hopes Cisco will help broaden Duo's reach through scale and access to a larger market. 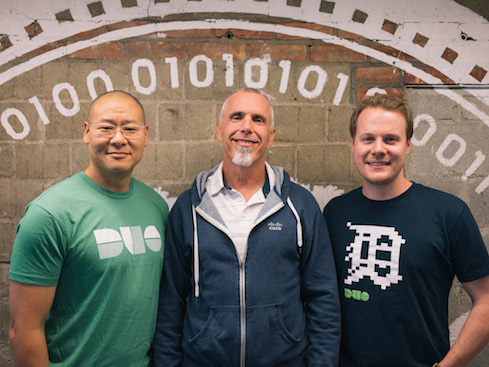 The post-acquisition weeks have been "business as usual" at Duo, says Song, and he's looking forward to the company having a greater influence as part of Cisco. "The reality is, we are looking at a larger impact we hope to have," he says. Duo already supports a number of Cisco products, Song notes, but he hopes the company will have a greater inpact as part of its larger portfolio. Duo plans to use its additional scale to reach a growing number of people working on mobile and multi-cloud environments. "We're taking a user-centric approach as more and more attackers are going after users," he says. Cisco expects this latest acquisition will help it enter new areas of security, specifically on the application side, and the company plans to continue integrating security throughout its product portfolio. "If you take a look at multifactor authentication … this opens up an entirely new market for Cisco, and one that we're very excited to jump into," he adds, emphasizing an industry-wide need to establish trust around users and devices. In the app security space, Rittenhouse views Duo as a "huge component" of being able to protect applications in a simple way. Simplicity, he says, is a critical part of security but difficult to achieve. "I think identity has always been important; one of the issues that was hard in terms of implementation was the complexity," he explains. Multifactor keys like tokens or fobs interfere with the user experience. Duo's approach, he adds, shows how simplicity makes MFA a priority. Duo's approach, Rittenhouse says, has sown a path for the industry and demonstrated how if you create a strong user experience for MFA, it will rise to the importance that it deserves. "We have to design security for people," Song continues, and build technologies in a way that's both protective and easy to use. "We are building consumer-grade technologies that are enterprise worthy." This simplicity, Rittenhouse says, is a priority going forward as Cisco works on the front end of its security portfolio. Up until this point, it has been integrating the back end with intelligence from Cisco Talos, the firm's research division. "There's a huge emphasis, going forward, about putting together very simple product management – a single pane of glass," so operations teams have a simpler end-to-end view of security alerts. This doesn't mean customers will be required to swap existing MFA tech for Duo's, says Rittenhouse. With respect to MFA, Cisco is an open platform and customers can buy the product in its entirety or purchase it in parts and integrate their preferred authentication tool. 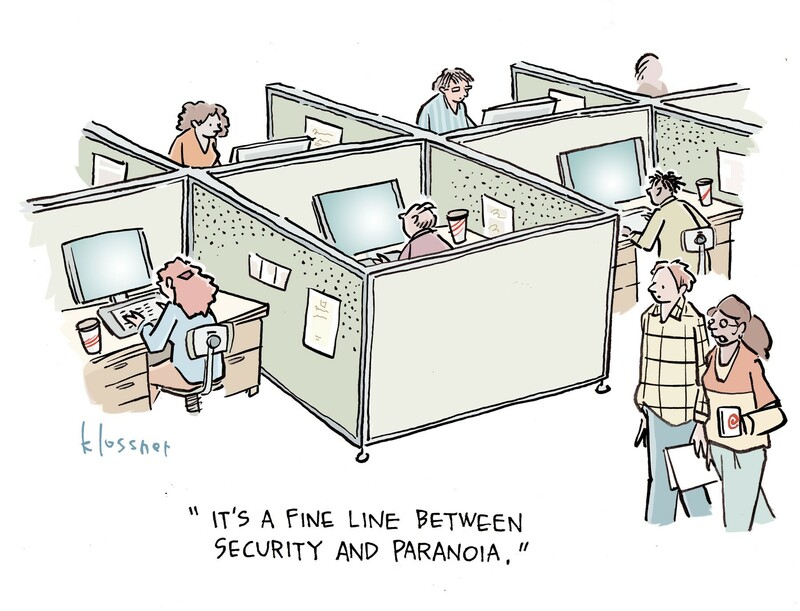 It's common for security teams to want to bring in other vendors, Rittenhouse notes. "Don't expect to see Duo mandated as multi-factor authentication in Cisco's portfolio," he says. While current and new customers may have their pick of authentication tools, there is an added convenience to have Duo's tech integrated from the start. As more of the industry has to deal with the complexity of integrating new enterprise technologies he adds, there is a value proposition when vendors pre-integrate and make it easier to use straight out of the box. But will Duo's technology still carry the Duo label? That's something they're still working on. "We haven't worked through that at this point," says Rittenhouse. Duo as a company will become Cisco as a company, he continues, but they have not yet determined how to label the actual product. It's a key question – Duo, after all, has built a strong identity in the industry. How does the company expect to maintain that identity as it's folded under the Cisco umbrella? Culture is an essential part of Duo, says Song. Hiring for cultural fit and cultural contribution, developing and growing that culture will continue to be important under Cisco. "Coming into Cisco we see something similar," he continues. Duo plans to maintain its same values around inclusion, diversity, continuing to represent multiple perspectives. As part of Cisco, Song explains, Duo will be able to build on parts of its culture through new initiatives it couldn't do before – corporate giving, for example, or tuition for continuing education. Its focus, of course, will continue to be "easy, effective, trustworthy security" as it continues to grow the technical partnership Duo and Cisco have had for years.